The very productive plants have sprawling growth and the tangy and sweet fruits are about ⅔" in diameter and encased in a papery husk. We found these to be slightly sweeter and smaller than Aunt Molly's. Allow the fruit to fall to the ground before harvesting. 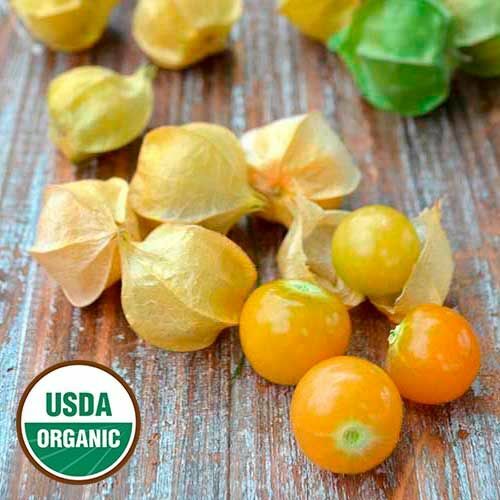 This ground cherry has been passed down through at least four generations of women; it was brought to Canada from Russia in 1925. 80 days from transplant.